Tom Dugan is a marine engineer. He is also, as the series progresses, a part-time, unofficial agent with the CIA but he would never think of himself that way. He knows in his head that he is first and foremost a marine engineer and he likes it that way. He loves ships and the sea and even the business end of things, though that gets boring after a time. Even more than an engineer, a man who understands the ins and outs of operating seagoing vessels for profit, be they cargo ships or tankers, Dugan has been for many years prior to the first recorded adventure a troubleshooter. 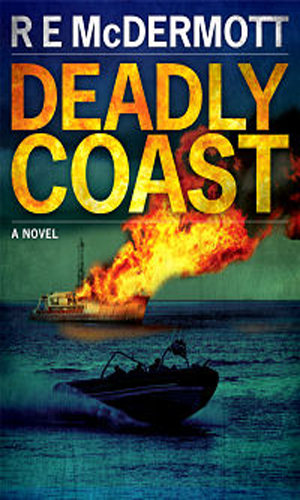 If a company has a ship in dry-dock that is not getting finished, Dugan is hired to investigate why. If there is a ship for sale in some distant port, Dugan is the man to check out whether the price is worth the goods. He is highly respected and much sought and when he voices an opinion in his field, smart people know to listen. Dugan is a widower who still misses his wife but enough time has passed that when he is thrown into close contact with a lovely female MI-5 agent, Anna, in a joint venture with the CIA, they become intimate. Now as this talented amateur proceeds deeper into the fight with the enemy, he has an experienced companion. There is no doubt that Dugan is a novice. He is not, however, lacking in common sense and intuition and since his area of expertise is ships and shipping, when the bad guys strike at the West using those items, he is the best man to lead the fight against them. Also working with Dugan is his boss, Alex Kairouz. Kairouz is the founder and CEO of a large and prosperous shipping operation and Dugan, an old friend, is the first man he calls when problems arise. When Kairouz got into trouble at the hands of some very bad men in the first book, it is Dugan who came to his friend’s aid though it almost landed him in prison as a result. When that adventure ended, the two were offered the unofficial role in the CIA/MI-5 joint affair. 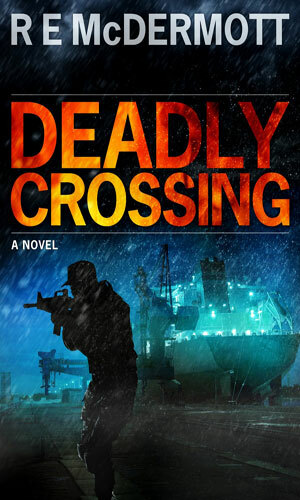 Forced to help the CIA find proof against his best friend, Tom Dugan is soon chief suspect in a series of attacks on the shipping industry. To clear his name and find who is really behind it all, he must fight the Agency, British Intelligence, and even a Russian Spetsnaz unit. 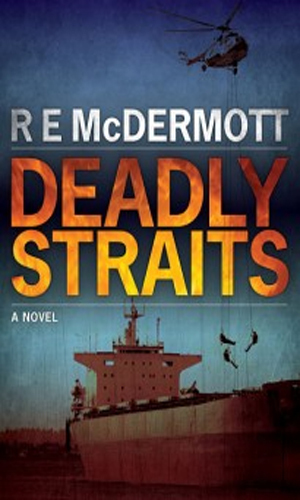 Somali pirates have hijacked a ship partially owned by Tom Dugan and he is determined to get it back but when the governments of the West prevent his first attempt, he goes a second, more deadly route but there is even more than a ship and a crew at stake. Two old friends from Russia call Tom Dugan out of the blue for help in rescuing a young girl from the Russian mob. Doing so will put him and his loved one in grave danger. The author of this series is a thirty-year veteran of the marine shipping industry and he brings to the artistic table a wealth of knowledge and understanding. Since his area of expertise is the sea and ships, he wisely puts the action for Dugan and his comrades in that field. This results in the plots having a fantastic feel of authenticity to them. The bad guys really could cause the sort of damage they try to do and the good guys really could use the terrific measures they do to fight back. Now, I have no idea if the author took liberties with the facts or if it is all aboveboard but the way the author presents them, it does not matter. One thing that happened to make me enjoy the first book so much was when, about halfway through the adventure, the hero, Dugan, made a move. I as the reader said to myself, ‘bad move, guy!’ And it was. Dugan is not perfect and he can make mistakes. What made the err so enjoyable, though, was that very soon thereafter the lead bad guy learned of the action and was surprised such a foolish mistake had been made. Soon after that, Dugan’s new lady friend, the experienced agent, learned of it and also let Dugan know how boneheaded it was. And there was I, the reader, nodding my head wisely. ‘See,’ I mused, ‘told you it was a mistake!’ I felt vindicated. Mr. McDermott is a beginner writer with now just two books under his belt but his freshman efforts are very enjoyable to read and I will welcome more from Tom Dugan in the future.